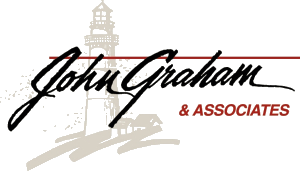 Christopher Franklin : John Graham & Associates, Inc.
Chris Franklin truly enjoys getting to know people, making new friends, and building lasting relationships. Being able to do that while providing people, families, and businesses custom-tailored financial plans to work toward their goals is why he became a financial consultant. Chris is a graduate of Bradley University with a Bachelor’s Degree of Science in business administration and management. 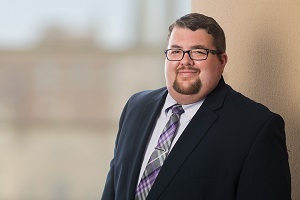 In 2018, he changed careers and completed the Financial Advisor Strategic Training Program at Midwestern Securities Trading Company. There he earned his FINRA Series 7 and 66 licenses, as well as state life and health insurance licenses. It has been his honor to be chosen as one of the selected individuals as an instructor for the OLLI lifelong learning program at Bradley University. As a Bradley Alum, he is grateful to assist in the noble effort of providing education and knowledge to great fellow students at Bradley. Born and raised in Peoria, Chris now lives in East Peoria with his wife, Amanda, and their two smart and funny daughters. They also have two dogs, Fred and George, named after the Weasley twins from the Harry Potter books. He is a regular volunteer at events for the Pediatric Resource Center and is an active member of Universalist Unitarian Church of Peoria. In his free time, he enjoys working on and talking about cars, buying fountain pens, building computers, and spending time with his amazing daughters.